All of us struggle with purpose in life. Why are we here? What are we called to do. What happens, though, when a purpose is chosen for us? And what if what's chosen isn't what we want to do and how do we forgive? These are some of the thought-provoking questions raised in Playhouse on Park's The Chosen, the story of two Jewish boys and their fathers, adapted by Chaim Potok and Aaron Posner from Potok's novel. The two families live in the same neighborhood in mid 1940s Brooklyn, where realization about the Holocaust is just setting in. Reuven Malter (Jordan Wolfe) and Danny Saunders (Joshuah Whitson) meet playing baseball on the playground and form an unlikely friendship. It's a friendship that has to be approved by Sander's father, Reb Saunders (Damian Buzzelrio) who is a renowned, strict Hasidic rabbi. Danny is being groomed to take the religious leader's place as generations before him have done. 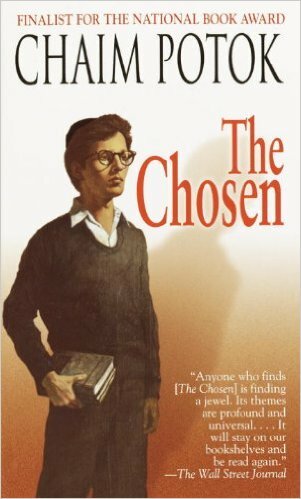 Young Reuven wins the rabbi's approval and even joins him and Danny for religious instruction and the two 15 year olds become best friends. "Two friends are like two bodies with one soul," we're told. That something, unwittingly, is Reuven's father, David (Dan Shor), who starts speaking out in favor of a cause in which he believes strongly: Zionism. The rabbi declares that Danny and Reuven may no longer be friends and Danny obeys his father. It's a tough choice, because Danny has his own struggles with his father who refuses to speak to him for years, but gives no reason why. In fact, the rabbi often spoke to his son through Reuven. The communication breakdown makes it next to impossible forDanny to tell his father that he wants to be a psychologist, not a rabbi. 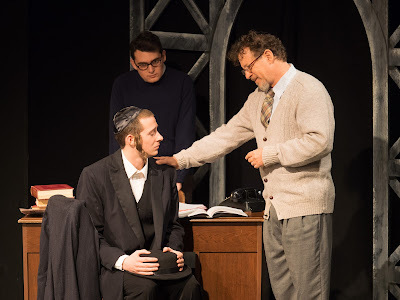 The strained relationship between the Malters is sharply contrasted with the loving father-son relationship between Reuven and David, who easily puts his his son's needs and desires above his own plans for his son's future. Shor creates such a kind, loving character that we can't help but wish he would adopt a lot of children so they can benefit from his care and wisdom too. 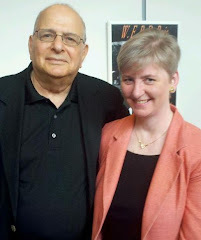 The story is told by an older Reuven (David Gautschy) as he reminisces about these six years of his life and the path to understanding and reconciliation walked through them. Directed by Dawn Loveland, the characters are depicted warts and all and while we don't always understand or agree with their actions, we're engaged and want to know how it all turns out. Lighting Designer Aaron Hochheiser skillfully helps shift attention from the narrator to the action in the past and back again. Christopher Hoyt's simple set relies on props to set the stage without drawing attention from the story. -- It is hard to understand Buzzelrio at times. -- The run at two hours and 20 minutes seems a bit long. This is another play that would benefit from some edits and a 90-minute, no intermission run time, which worked well for Posner's adaptation of Potok's My Name is Asher Lev. The Chosen runs through Feb 14 at Playhouse on Park, 244 Park Road, West Hartford. Performances are Wednesday and Thursday at 7:30 pm; Friday and Saturday at 8 pm; Sunday matinee at 2 pm, followed by a talk back with the cast.Tickets are $22.50-$35: 860-523-5900 x10; www.playhouseonpark.org.